Updated Jan. 24, 2019: Our long-awaited video embedded just below is now released also in DVD, Download, and Blu-ray! 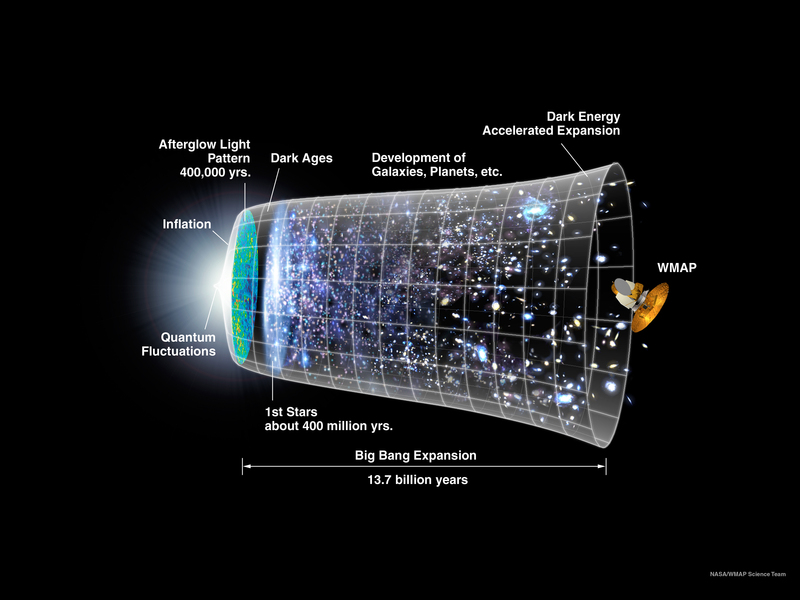 History: After Real Science Radio's debate with Lawrence Krauss, a leading big bang proponent, we aired our first program on the peer-reviewed scientific evidence against the big bang and against the widely-held major features of the cosmological model founded on the theory. Welcome now to Real Science Radio's List of Evidence Against the Big Bang! Theoretical physicist Lawrence Krauss got Bob Enyart and co-host Fred Williams all worked up when he told RSR that, "all evidence overwhelmingly supports the big bang." In response, we produced this list, which is the web's highest ranking, most concise, and comprehensive catalog of evidence assessed by many scientists to be inconsistent with the expectations of a big bang origin. * RSR's List of Evidence Against the Big Bang: For descriptions and links to journal references, see below. * Mature galaxies exist where the BB predicts only infant galaxies: The big bang predicts that when telescopes peer especially far into outer space, they should see only infant galaxies. Why? Because if the universe is 13.8 billion years old, light traveling toward us for 13.4 billion years would show objects as they had existed in the early stage of the universe, long before the BB theory has claimed that mature and bright galaxies could possibly exist. Instead though, as RSR host Bob Enyart has been reporting for two decades, astronomers are repeatedly "startled" and "baffled" (per the journal Science) to observe that what actually exists is exactly what the big bang predicts should not exist. For many of the most distant (i.e., allegedly "youngest") galaxies look just like the Milky Way and the oldest galaxies that are all around us! Just in time for our 2014 RSR big bang program, the Carnegie Observatories: "discovered 15 [more] massive, mature galaxies located where they shouldn't be: at an average distance of 12 billion light-years away from Earth." And in 2015, Caltech astronomers discovered Galaxy EGS8p7 at an astoundingly high redshift of 8.68 putting it apparently 13.2Bly away! And the Astrophysical Journal, which had previously reported z=11, in 2016 reported the huge and especially bright GN-z11 galaxy at z=11.1! Such discoveries prove wrong Neil deGrasse Tyson and his claim lthat we creationists cannot make predictions, as any glance at our RSR Predictions and our confirmed predictions shows. In 2005 a cover story Science News stated, "Imagine peering into a nursery and seeing, among the cooing babies, a few that look like grown men. That's the startling situation that astronomers have stumbled upon as they've looked deep into space and thus back to a time when newborn galaxies filled the cosmos. Some of these babies have turned out to be nearly as massive as the Milky Way and other galactic geezers that have taken billions of years to form." Finally, in 1995, as NASA was preparing to publish their first Hubble Deep Field Image, as a biblical creationist, Bob Enyart predicted that NASA and the entire big bang community of astronomers, physicists and astrophysicists, would all be wrong, because the furthest galaxies would look just like nearby galaxies regarding apparent age. 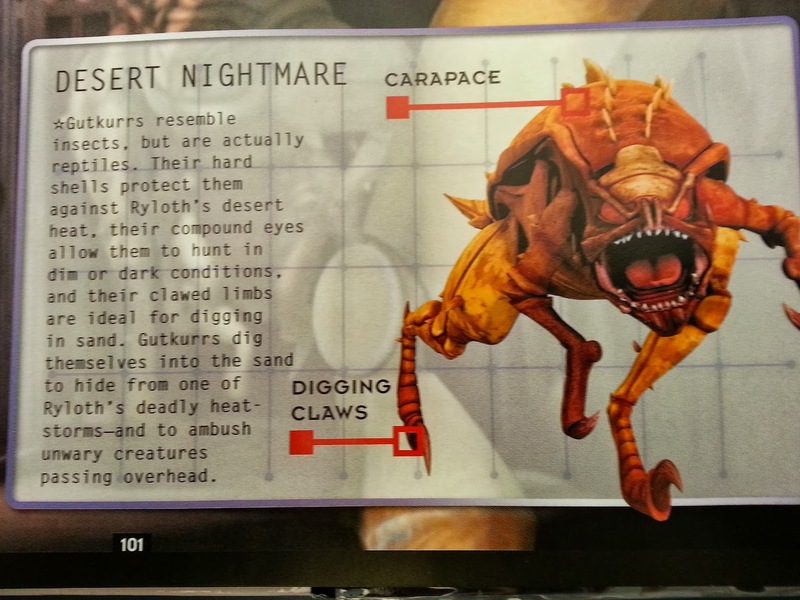 Learn more including here, here, here from the journal Science, and here from the journal Nature with their A galaxy far, far away! * An entire universe worth of missing antimatter: When supercolliders form matter from energy, as expected from the laws of physics, equal parts of matter and antimatter form, which is exactly what should have happened if an energetic big bang created all the matter of the universe. So astrophysicists have spent decades looking for antimatter regions of the universe with scientists culminating a significant project by writing in The Astrophysical Journal, "we conclude that a matter-antimatter symmetric universe is empirically excluded" with the journal Science reporting a physicist's assessment: "The work is extremely compelling and gives me fresh pessimism" that is, on the difficulty of explaining why the matter of the universe even exists by way of a big bang. Consider also 1) Lawrence Krauss waving away this universe-worth of evidence on a Discovery Channel program; and 2) biology's right- and left-handed parallel to cosmology's antimatter problem; and 3) see RSR.org/big-bang-predictions which disproves the claim that predictions have confirmed the big bang. And if you'd like to watch this fascinating brief Fermilab video on the missing antimatter, remember that the journal Nature in 2016 reported that, "Current theory requires that matter and antimatter appear in equal quantities after the Big Bang, but the Standard Model of particle physics offers no quantitative explanation for the apparent disappearance of half the Universe [that a big bang would have created]." Hear this big bang list on RSR with Bob & Fred! * Spiral galaxies missing millions of years of collisions: A major big bang prediction was falsified so strongly that Princeton University cosmologist Jim Peebles stated, "It's really an embarrassment." Assuming that large spiral galaxies formed as a result of the merger of smaller galaxies, big bang theorists have claimed that the bulges in the center of spiral galaxies are evidence of hundreds of millions of years of violent collisions from those merging galaxies. However, a careful look at large spiral galaxies, and especially those that can be seen "edge on" (like the one pictured to the right), found that a significant percentage of very large spiral galaxies have no bulge whatsoever (like the one to the left). In fact, what astronomers had assumed, for many spiral galaxies, were classic "bulges", turned out to be nothing of the sort. 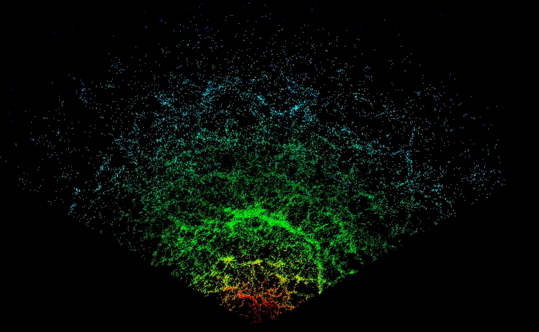 Further, simulations show that galaxy mergers could not occur without the millions of years of collisions occurring. And because all those collisions would produce a bulge, another major prediction of the big bang theory, regarding the formation of all large spiral galaxies, has been falsified. Yet even at the Hubble Space Telescope operations center, as of 2015, big bang proponents still haven't taken this empirical data into account. Now that scientists have looked for the expected forensic evidence of that galactic violent history, and realized that it is missing, therefore the University of Texas astronomy department chairman John Kormendy admitted that these pristine spiral galaxies "were something of a shock" for they "look rather too perfect." * BIG RSR Announcement! 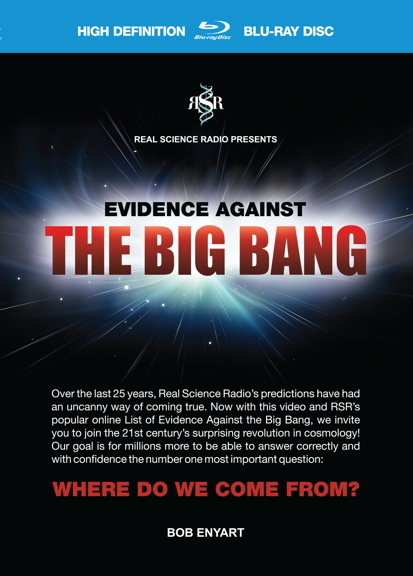 The long-awaited astronomy video, RSR's Evidence Against the Big Bang, is finally here! If you enjoy Real Science Radio and would like to help keep the guys broadcasting and reaching more people, you just might love getting your own copy of this really fun and informative video. This big bang video is persuasive in the way that RSR is known for, and so it will also make a fabulous Christmas present for creationists and non-creationists alike! * Clusters of galaxies exist at great distances where the BB predicts they should not exist: Galaxy clusters typically have between 100 and 1,000 gravitationally bound galaxies. When astronomers began looking at the furthest galaxies, which must have been formed when the universe was young, they did not expect to find galaxies pulled together into clusters. But they did. "The surprising thing is that when we look closely at this galaxy cluster," said Raphael Gobat, lead author of an Astronomy & Astrophysics journal paper, "it doesn't look young..." The official Hubble website reports that its very old stars and galaxies, "makes the cluster a mature object, similar in mass to the Virgo galaxy cluster..." The Virgo cluster is not 10 billion years away; it's so close to us that we're in it. The Virgo cluster contains 2,000 galaxies including the Milky Way. So finding a cluster with the mass and age of the Virgo cluster, more than 10 billion light-years from the earth is more than "surprising"; it is another major failure of the big bang model's ability to predict the nature of the universe. (See too the MNRAS 2009.) And even further clusters will continue to be discovered. For example, the Jet Propulsion Lab announced discovery of another galaxy cluster, at a very high redshift of z = 5.3, comprising "400 billion suns" at a distance of "12.6 billion light-years away from Earth." by posting this simple rsr.org/big-bang link! * Nine billion years of missing metal in a trillion stars: Indiana University led a study of the metallicity of fifteen galaxies that undermined rather than fulfilled a major and fundamental big bang prediction. RSR sparring partner, theoretical physicist Lawrence Krauss (emphasis on the theoretical), and other materialist cosmologists do not *know* but they "believe" that, as billions of years pass during star evolution, these trillion stars were supposed to be creating vast quantities of metals (in astronomy speak, that means elements heavier than hydrogen and helium). Instead, these stars lack nine billion years worth of metal! Based on a paper in the Astrophysical Journal, Space.com reports that, "The reigning hypothesis of galaxy formation holds that such well-established spirals would have formed about 13 billion years ago, shortly after the big bang. But the new discovery of a group of 15 spirals that look to be much younger may upset that thinking." Space.com presents this in a typical isn't-evolution-amazing kind of way, but to strip the galactic evolution hype from the report, the actual observation indicates that these fifteen spiral galaxies are lacking the elements heavier than helium and up to iron that should have been created by nucleosynthesis over 9,000,000,000 years. "We're not saying there's a complete breakdown in the theory of galaxy evolution," says lead author and Indiana University astronomer John Salzer, "but that these objects do run counter to the standard model." * Galaxy superclusters exist yet the BB predicts that gravity couldn't form them in the age of the cosmos: Enormous clusters, called superclusters, contain about 90% of all galaxies and are made up of millions of galaxies. 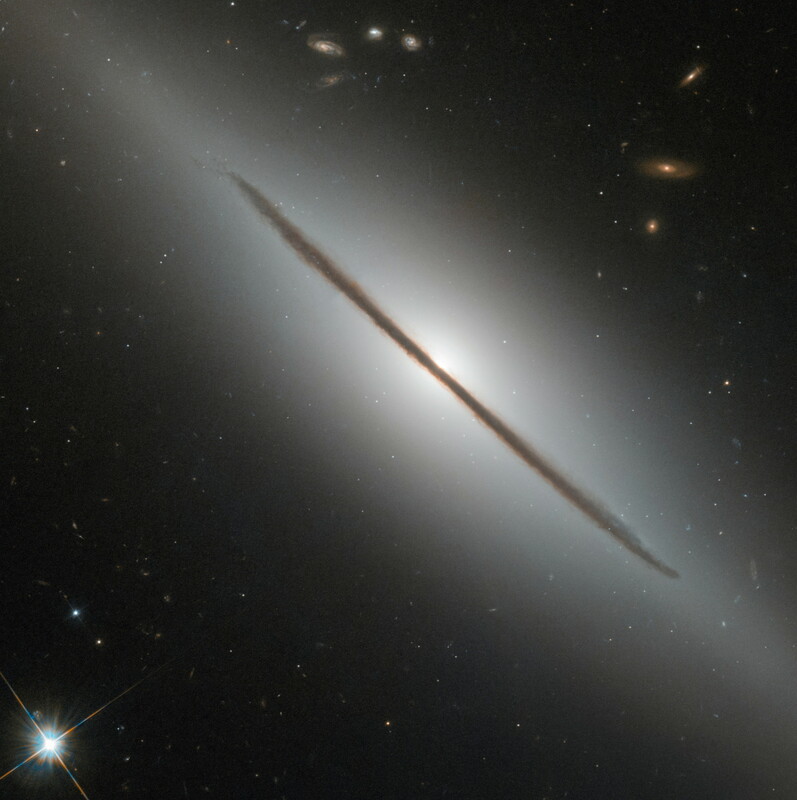 Astronomers find them shaped like filaments and bubbles and in structures like the Great Wall, and the 1.2 billion-light-year-long Sloan Great Wall, and even in an astounding 5-billion-light-year spiral. Even at the alleged 13.8 billion years of age, the universe lacks 99% of the time required for gravity to pull these structures together. Thus because it would take a trillion years of work by gravity to pull together even the smaller superclusters, the "standard model" did not predict their existence. Thus if the big bang were true, superclusters should not exist. But they do. So to save their favored theory (and motivated by a desire to explain the cosmos apart from the Creator), theoreticians imagined a BB rescue device: dark matter. And aside from distant clusters, Georges Lemaître himself realized that the big bang theory didn't even explain the existence of nearby clusters. For as observed at a Belgium symposium to honor the father of the big bang theory, "The clustering of galaxies became a challenge that devoured Lemaître's research in cosmology. Time and again [Harvard's Harlow] Shapley demanded that the theory of the expanding universe account for concentrations of nebulae he was charting close to the Milky Way. Lemaitre wanted foremost to satisfy the demand. Yet to the end of his life the solution eluded him." The isotopes of each chemical element have almost constant ratios with each other. ... Why is the ratio of 235U to 238U in uranium ore deposits so constant almost everywhere on Earth? One very precise study showed that the ratio is 0.0072842, with a standard deviation of only 0.000017. Obviously, the more time that elapses between the formation of the various isotopes (such as 235U and 238U) and the farther they are transported to their current resting places, the more varied those ratios should be. The belief that these isotopes formed in a supernova explosion light-years away and millions of years before the Earth formed] and somehow collected in small ore bodies in a fixed ratio is absurd. Powerful explosions would have separated the lighter isotopes from the heavier isotopes. 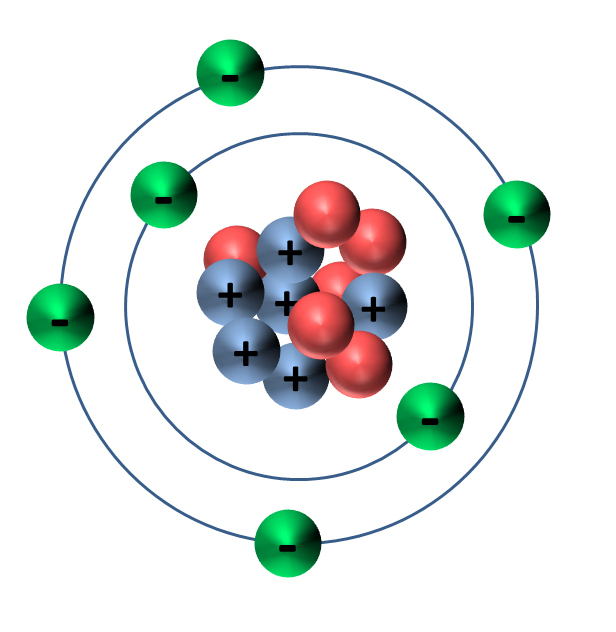 Some radioisotopes simultaneously produce two or more daughters. When that happens, the daughters have very precise ratios to each other, called branching ratios or branching fractions. Uranium isotopes are an example, because they are daughter products of some even heavier element. Recall that the Proton-21 Laboratory has produced superheavy elements that instantly decayed. Also, the global flux of neutrons [in the granitic crust, from the piezoelectric effect of underground earthquake lightning during the global flood (see evidence)] provided nuclei with enough neutrons to reach their maximum stability. Therefore, isotope ratios for a given element are fixed. Had the flux of neutrons originated in outer space, we would not see these constant ratios worldwide. Because these neutrons originated at many specific points in the globe-encircling crust, these fixed ratios are global. Before we ever discovered any [planets outside the solar system] we thought we understood the formation of planetary systems pretty deeply… It was a really beautiful theory. And, clearly, thoroughly wrong. the best astronomy science DVD ever made! * It is "philosophy" that claims the universe has no center: It is not a scientific statement but merely a philosophical one to claim that the universe has no center. Thus, the big bang’s central Copernican principle is not based on science but on philosophical bias. At rsr.org/cosmological-principle see the physicists and astrophysicists like Stephen Hawking and Richard Feynman who state unequivocally that the belief (which Krauss holds) that the universe has no center, which is essential to big bang cosmology, is a philosophical claim which the evidence is unable to confirm. Hawking co-author George Ellis describes, "a spherically symmetrical universe with Earth at its center, and you cannot disprove it based on observations... You can only exclude it on philosophical grounds..." with Hawking elsewhere concurring that scientists, "are not able to make cosmological models without some admixture of ideology." * Amassing evidence suggests the universe may have a center: The most extensive observational evidence ever collected in the history of science is indicating that the universe may have a center. 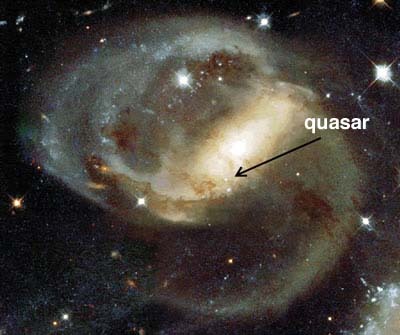 Yet intense philosophical bias, described as "embarrassment" by Feynman, makes it difficult for belief-driven theorists like Lawrence Krauss to objectively evaluate the evidence as presented by many secular and creationist astrophysicist and cosmologists who have documented the quantized redshift of one million galaxies suggesting that these exist in preferred distances and concentric shells out from the center of the universe. This data comes from many sources which you can see in the video or in the list just below. Quantized redshift consistent with Axis of Evil: As seen in the video, this list (below) presents the papers, published mostly in secular journals, that suggest that the universe may have a center. Another equally impressive, independent data set reinforces, in a completely different way, that the universe may have a center. This other, massively extensive observation is of the CMB showing the anisotropy of the universe and what is popularly called the Axis of Evil. Lawrence Krauss explains (click the link or see the video just above) that this indicates that the Earth's orbit is on the plane that passes through the center of the universe. Now combine the CMB data with Sloan's quantized redshifts. If both are valid, together, these data indicate that the universe has actual northern and southern hemispheres. (Thus a single verse in Job, the oldest book in the Bible, from a modern cosmology perspective, may have two literally correct descriptions of the Earth and the cosmos. "He stretches out the north over empty space; He hangs the earth on nothing.") Three generations of satellites, COBE, WMAP, and Planck, have established and refined this CMB "Axis of Evil" and the Sloan survey has incorporated 208 million galaxies! So these two massive and independent sources looking at very different types of data suggest that the universe, bisected by Earth's orbit, may indeed have a center with the Milky Way being rather near that center. - 2002, Sandia Nat'l Labs physicist Russell Humphreys, wrote in the peer-reviewed Journal of Creation, "...redshift quantization is evidence (1) against the big bang theory, and (2) for a galactocentric cosmology..."
* Sun is missing nearly 100% of the spin that natural formation would impart: The discoverer of gravity Isaac Newton rejected the nebula hypothesis that gravity could condense a gas cloud into our sun and its orbiting planets. Big bang proponents reject Newton's insight. So they must develop a secondary assumption to explain why the Sun, which has about 99% of the mass of the solar system, has less than 1% of the "spin" of the system. Thus at least apparently, the claimed evolution of our solar system would violate the law of the conservation of angular momentum, requiring yet another "rescue device" to be devised to protect the theory. * Big bang advocate Lawrence Krauss: We interrupt our program to bring you this important information. Arizona State University Prof. Lawrence Krauss has been an aggressive salesman for the philosophical worldview of atheism for so long that perhaps he has forgotten even what it means for "evidence" to support a theory. At five minutes into Part 2 of our Krauss interview, this big bang marketing rep repeats what appears in his recent book on page 6, that, "all evidence supports the big bang", and in the nature of a propagandist, Krauss ups the ante by adding that "all evidence now overwhelmingly supports the big bang," and to put a cherry on it, he adds: "overwhelming is an understatement." Now we return to our regularly scheduled programming. I.e., more evidence against the big bang. * Missing uniform distribution of solar system isotopes: To pile on, scientific observations also challenge the standard stellar nucleosynthesis story of the origins of our solar system's lighter elements, those between lithium and iron. For, if these were created inside of stars which later exploded, the big bang model expects a reasonably homogenous distribution of the created elements such that, the Sun and the Earth should consist of the same isotopes (versions) of elements like nitrogen and oxygen. However, the Sun has "40 percent less nitrogen-15 (compared to nitrogen-14)" than does the Earth, which is contrary to standard planetary formation theory, which predicts the same percentage of isotopes in both bodies. Likewise, the Earth has 7 percent less oxygen-16 relative to its other isotopes, than does the Sun. NASA reports that "that Earth, the moon, as well as... meteorites... have a lower concentration of the O-16 than does the sun... The implication is that we did not form out of the same solar nebula materials..." (Any secondary assumptions that attempt to answer that problem, regardless of how improbable in and of themselves, of course, will fail to explain any isotope mismatches between the Moon and the Earth.) And to pile on even more, there is a missing distribution of iron in so-called second-generation stars. * Surface brightness of furthest galaxies identical to nearest galaxies: A 2014 physics journal paper reports careful observations of about a thousand galaxies that contradict a fundamental big bang prediction. "[T]he Big Bang theory tells us that in an expanding Universe [distant galaxies] actually should appear fainter but bigger." This would reduce their surface brightness per unit area. But it turns out that the surface brightness of the furthest galaxies studied is identical to that of the nearest galaxies! A team of astrophysicists led by Eric Lerner from Lawrenceville Plasma Physics published, UV surface brightness of galaxies, and found that, as reported in Sci-News, "Contrary to the prediction of the Big Bang theory, they found that the surface brightnesses of the near and far galaxies are identical." And further, "It is amazing that the predictions of this simple formula are as good as the predictions of the expanding Universe theory, which include complex corrections for hypothetical dark matter and dark energy," said one of the study's co-authors, Dr Renato Falomo of the Osservatorio Astronomico di Padova, Italy. At rsr.org/expansion read more about why equal brightnesses contradict the big bang and hear more about this from physicist John Hartnett, inventor of the most precise clock ever made by humans. * Missing billions of years of additional clustering of nearby galaxies: As Princeton's astrophysics Prof. Michael Strauss describes the data: "...tremendously distant galaxies are just as clustered as today [that is, as those that are nearby] and are arranged in the same filamentary, bubbly structures that nearby galaxies are." Thus, rescuing the big bang theory from the existence of unexpected distant galaxy clusters merely exposes an equal and opposite failure of the theory. If 96% of the stuff of the universe is hypothetical and unknown, but sufficient to rapidly pull together galaxy clusters from across the universe as they existed allegedly many billions of years ago, then that same extra matter should have pulled together the mass of nearby galaxies far more so than it could have done in just the early stages of the universe to the most distant galaxies. At the home of the Jet Propulsion Laboratory, CalTech's astronomy Prof. Charles Steidel concurs with the degree of clustering, near and far: "The work is ongoing, but what we’re able to say now is that galaxies we are seeing at great distances are as strongly clustered in the early universe as they are today." This enormous observation fits the predictions of young-earth creation but contradicts BB expectations. * Missing CMB shadow of the big bang: As reported in Science Daily, University of Alabama at Huntsville scientist Dr. Richard Lieu concludes, "Either... the Big Bang is blown away or ... there is something else going on'." The Astrophysical Journal reported on a "vital test of the present cosmological paradigm" i.e., the big bang, that "taken at face value, one may even hold the opinion that there is in fact no strong evidence" for the long-predicted shadow of the CMB from behind 31 nearby galaxy clusters, "beyond the usual primary CMB... variations". As with dozens of some of the most careful and extensive observations ever made in the history of science, the missing shadow is yet another failure, not of an incidental off-the-cuff prediction but of a fundamental requirement of the big bang. As Dr. Lieu put it, "These shadows are a well-known thing that has been predicted for years. 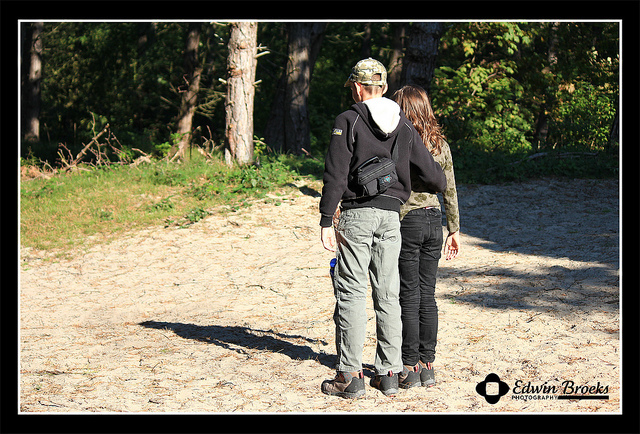 If you see a shadow… it means the radiation comes from behind the cluster. 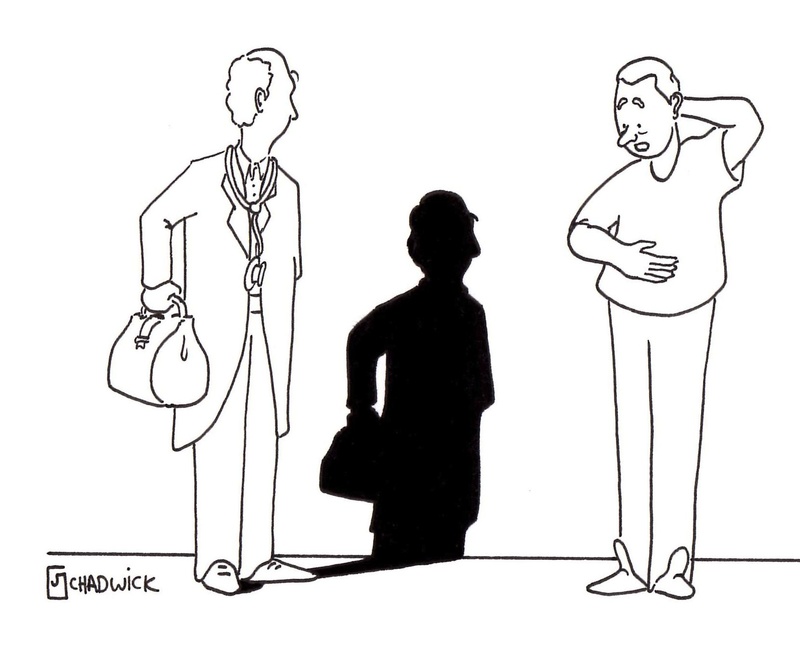 If you don’t see a shadow, then you have something of a problem." See also the Royal Astronomical Society's follow-up corroboration and hear RSR's 2014 discussion with one of the world's more successful physicists, at rsr.org/john-hartnett, that this hard data implies that the CMB may have a foreground source. Yet the BB remains a matter of deep faith among believers, as Dr. Lieu told space.com, "I myself am not at this point prepared to accept that the CMB is noncosmological and that there was no Big Bang. That would be doomsday." * CMB and other alleged big bang predictions that were never made: Consider first that the big bang's famed "prediction" of the distribution of elements was adjusted after the fact. As is typical of the CMB and other alleged predictions of the big bang, the claim that there was an accurate prediction of the primordial percentage of elements (like hydrogen and helium) has been contradicted in the journals Nature and Physics Essays and has been challenged in The Astrophysical Journal, in Science News, and in Cambridge University's Modern Cosmology. For example a paper in Nature describes the particulars of this prediction as, "assumed ad hoc to obtain the required [predicted] abundances". In Physics Essays also, "The study of historical data shows that over the years predictions of the ratio of helium to hydrogen in a BB universe have been repeatedly adjusted to agree with the latest available estimates of that ratio as observed in the real universe." See more excerpts and all of this documented at rsr.org/big-bang-predictions along with the big bang's predictive failures regarding antimatter, magnetic monopoles, a thousand times too much lithium-6, and also regarding big-bang-required dark matter. Likewise, the big bang's "prediction" of the 2.7K CMB was yet another after the fact retrodiction. In addition to challenges in New Scientist and Physics Essays, a winner of the Nobel Prize for discovering the cosmic microwave background radiation himself disclaimed the accolade that the big bang theory predicted the 2.73 degree Kelvin CMB. In his lecture given on the very occasion of sharing the Nobel Prize for discovering CMB radiation, Robert W. Wilson, acknowledged that, "The first confirmation of the microwave cosmic background that we knew of, however, came from a totally different, indirect measurement. This measurement had, in fact, been made thirty years earlier... near the peak of a 3 K black body spectrum." Thus physicist Lawrence Krauss (A Universe from Nothing, p. 18, on RSR, etc.) is wrong when he claims that such "predictions" have confirmed the big bang. See more documentation of this at rsr.org/bb-predictions#cmb. * Dusty galaxy shouldn't exist: But it does. In March 2015, phys.org reported, of a newly found galaxy apparently 13 billion light years away, "Expected to look like a newly formed system, the galaxy surprised the observers with its rich chemical complexity and abundance of interstellar dust." On this galaxy A1689-zD1, National Geographic quotes University of Arizona's Daniel Marrone, an "expert on galaxy formation" saying, "Last week, we learned of an incredibly massive black hole in the early universe. Now we have this average galaxy with significant amounts of dust. We've had this cartoon picture of the early universe, but it's clear that we really don't know what's going on." The big bang theory maintains that the universe started out with no "metals" and no dust at all, but almost only hydrogen and helium. So this expert on galaxy formation sounds just like one of the world's leading experts on the nebula hypothesis, Caltech's Mike Brown who manages NASA's exoplanet database, who said in 2013 that our theory of planet formation is, "clearly, thoroughly wrong." * Iron-poor "second-generation" stars shouldn't exist: But they do. By the big bang theory, the oldest stars (called Population III) should have no iron. Population II stars should have some. And Population I stars (the youngest) should have plenty of iron. However, based on a paper in the journal Nature, ScienceNews reports, "Scientists thought that the high-energy explosions, or supernovas, of the universe's first stars would have seeded galaxies with this heavy element [iron]. But the old star’s chemical composition and that of four others suggest that the explosions of the first stars were much lower in energy than those of giant stars today. ... That could explain why old, second generation stars... have very small traces of iron, and it suggests that low-energy supernovas were more common in the early universe than originally thought, astronomers report February 9  in Nature." With the near infinite pliability of such cosmological story-telling, evidence like this that undermines the long-standing secular account of the development of the universe is simply woven into a different story. True believers assume that any newly created gaps in the "plot" of the story of the universe will be filled in by other even more imaginative storytellers. Spiral Galaxies: near and far, have the same amount of spin, whether next door or 10 billion light years away. Galaxy Superclusters: enormous galaxy clusters like bubbles, the Great Wall, filaments, the Sloan Great Wall, which is more than a billion light years across, all lack the time for gravity to pull them together. Even Temperature Resists Galaxy Formation: The big bang model says that gravity working on an uneven distribution of matter would create galaxies, but the background temperature of the universe (CMB) is about 2.73 degrees Kelvin with less than 1/10,000th of a degree variation, indicating an extreme evenness by which gravitational pull in every direction would tend to prevent clumping such that galaxies would not form in a mere 14 billion years. Fractal Universe: if the universe is fractal, as it appears, the big bang then doesn't explain galaxy distribution. Spiral Galaxies "Too Perfect": Cosmologists say that the missing collisions in pristine galaxies is "an embarrassment"
Closest Bulge a Mystery: Even the formation of the closest one to us, the bulge within our own Milky Way, is a mystery. Galaxy Spin: The big bang does not explain even why galaxies spin. Spiral Arms: after supposed billions of years, their spiral arms should now be deformed. Fast Moving Arms: The big bang requires hypothetical entities to justify the great speed of the spiral arms of galaxies. Stars First, or Galaxies? The long-time editor of the journal Nature admits that the big bang theory doesn't even help scientists determine which formed first, stars or galaxies. And they have the most difficult time even explaining where our own Moon came from, let alone the entire universe. Thus, far from being able to explain how the universe could form apart from God, they are groping in the dark. And RSR's own Density Problem: As journalists, here at Real Science Radio we typically report what others have published. But consider NASA's acknowledgement of the missing density problem after sophisticated measurements indicate that there exists only half of the expected baryons (normal matter) that should exist in the universe based on the prediction of the big bang theory. So now RSR asks, if there actually is only half the ordinary matter, and thus less gravitational attraction, than previously presumed, with that much less matter to coalesce, does such missing matter imply yet another problem for galaxy formation? * Millions of years of missing spiral arm deformation. Of the evidence that does not "support" the big bang, this is an example that proponents jump on first, actually claiming this as positive evidence, while it is one of the first observational contradictions of the theory that caused them to assert the existence of one of their first hypothetical entities, dark matter. Psychologically speaking, the more observations that contradict a theory, and the more secondary and tertiary rescue devices needed to prop it up, the more its proponents make over-the-top assertions such as in this case by Dr. Krauss: "All evidence overwhelmingly supports the big bang." - Dark Matter: Astronomy texts that present a materialist story of the origin of the stuff of the universe, called BBN, or big bang nucleosynthesis, present no accounting whatsoever for the origin of dark matter. However, a big bang universe requires the existence of five times more dark matter than all the normal matter that we actually observe filling the cosmos! Thus, it is grossly incorrect to claim that the big bang theory does a good job explaining the origin of the stuff of the universe. - Antimatter: Of course, the big bang nucleosynthesis hypothesis also failed in one of its most fundamental predictions, that 50% of the "matter" of the universe would be antimatter. - Dark Energy: And because cosmologists admit that, like dark matter, they have no idea what dark energy might even be, therefore of course, the big bang theory has in no way explained how dark energy could have formed. - Etc. (If materialists can't even propose what the substances are that would fill 95% of their materialist cosmos, then of course they cannot have a robust theory that explains the origin of that universe, given that they don't even know what's in it.) And for more examples of stuff not predicted, see rsr.org/bb-predictions#initial-abundances. * Star formation is an unsolved problem. Physics laws contradict the claim that gas would condense into stars. How could the first generation of stars form by naturalistic means? Serious problems with the theory of stellar formation include that they begin with stars already having formed or in the process of formation. (This is not unlike Darwin's over-reaching title, On the Origin of Species, since he began with at least one species already in existence.) If a gas cloud began to condense naturally, then gravity, a relatively weak force, would be overwhelmed by the increase in temperature and pressure, which would cause the gas could to expand rather than to collapse. So, to get beyond the fact that what we know of the laws of physics prevents the natural formation of stars, the standard theories begin either with a protostar (a star already well into it's formation), or the explosion of a star from a previous generation of stars so that it's energy wave would condense a gas cloud to create a protostar. In layman's terms however, that's called cheating. 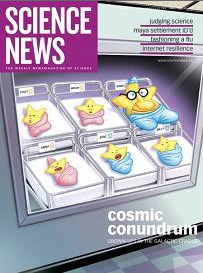 See rsr.org/star-formation-problems to consider also the missing Population III stars, the angular momentum problem, the missing stage 3 supernova remnants, and a textbook summary of star formation problems from a Cambridge professor. * Galaxies in a giant spiral ring should not exist: but they do! Spanning an area of the sky 70 times the diameter of the moon and five billion light years across is apparently far more than that distance away! Of course as with other discoveries, this structure falsifies the Cosmological Principle and its two key concepts that the BB theory rests upon, homogeneity and isotropy. * Far too evened-out temperature creates BB's own starlight and time horizon problem: Big bang supporters assume "inflation" to address their own starlight travel time problem. Like the starlight and time challenge put to biblical creationists, the big bang has the same problem, known as its horizon problem. Even a 14-billion year old universe is nowhere near old enough to enable the temperature of the background radiation to even out so perfectly. So in 1981, not as a prediction of the big bang, but in a dramatic ad hoc secondary assumption to adjust to the data, Alan Guth imagined an inflation period in which space expanded far more rapidly than even the speed of light. Many believe that this solves the problem of a big bang universe being far too homogeneous to be explained by the laws of physics. There is no known mechanism that could suddenly start the expansion; the "graceful exit" problem of an equally sudden stop is also unsolved; and the inflation theory's 2014 gravity wave fiasco resulted in the journal Nature publishing a scathing criticism that asked whether or not the belief in inflation itself is, "fundamentally untestable, and hence scientifically meaningless." * Inflation leads to multiverse, anti-science, and even Boltzmann Brains: "It's hard to build models of inflation that don't lead to a multiverse," said Alan Guth. "But most models of inflation do lead to a multiverse, and evidence for inflation will be pushing us in the direction of taking [the idea of a] multiverse seriously." Once you posit an infinite number of universes, then atheists really run wild, as Luke Barnes over at space.com points out, describing, "a fully-formed brain spontaneously popping out of 'empty' space. Given enough time and space this vanishingly improbable event will occur. While such freak observers, known as Boltzmann Brains, would be massively outnumbered by biological observers in our universe [RSR: saints be praised], they could be common in the almost unending time and space of the entire multiverse." Thus, the big bang is rescued by the imagined inflation period, which leads to the science-killing multiverse, which makes it infinitely more likely that the universe doesn't exist and that the big bang never happened, and that you are merely a Boltzmann Brain floating alone in space with false memories. Really. * Inflation is challenged by the measured density of the universe: Known also as the missing baryonic matter problem, NASA writes, "the only serious problem facing Big Bang cosmology is... the density of our universe [which seems] to come up short by a factor between two and five" as compared to what has been "predicted by... inflationary Big Bang cosmology." Lawrence Krauss suggests that this matter is missing just because it's not luminescent, so that its hard to see because it doesn't shine. However, his problem is exacerbated by the "transparency problem" and by NASA attributing this missing matter problem not to what we can't see but to what we CAN see! "The recent study of supernovae located some 5 billion light years away have, again, indicated that the universe seems to have about five times less density than inflationary cosmology demands that it must have to be consistent with the COBE measurements." NASA then added, "No astronomer [presumably except for those at cosmologystatement.com] is even remotely suggesting that Big Bang cosmology is incorrect..."
* The big bang model dates stars as older than the age of the universe: As NASA has put it, "There seemed to be [a] problem with the age of the universe turning out to be shorter than the ages of the oldest stars..." But the latest recalibration makes those stars only about 10 percent older than the universe, unless as NASA does, they apply 100% of the margin of error in favor of their theory. Yet even then, the Methuselah Star formed 13.7 billion years ago, at the moment of the bang, which is still 400 million years before the big bang theory claims that stars began to form. * Even our speed through the universe is inconsistent with the big bang theory: NASA reports that our Sun is moving about 800,000 mph relative to the photons of the CMB, which speed is significantly different from what it should be in a big bang universe, being inconsistent with the supposed earliest (and most fundamental moments of the) expansion of the universe. Further, a 2004 Cambridge University text reports that our Sun is moving at 1.4 million mph relative to the expansion of the universe, when cosmological calculations based on the CMB indicate that we should be moving closer to half that speed. * Assumed dark matter bubbles to get densities in the homogeneity: While inflation was imagined to address the problem of the universe being too homogeneous, to solve the exact opposite problem, dark matter bubbles have been imagined because the extreme eveness of background radiation indicates that the universe was not lumpy enough to naturally form stars. An expanding universe exacerbates the problem, presented above, that the laws of physics do not enable the natural formation of stars from gas clouds. So BB cosmologists call again upon the super malleable great-in-a-pinch dark matter to rescue their theory. It is now claimed that trillions upon trillions of dark matter bubbles (DMBs) allegedly formed in a just-so arrangement by way of the big bang so that each one would gravitationaly attract gas to form the trillions of alleged Population III protostars. With all those DMBs formed, this tertiary assumption/rescue device also solves the problem of how galaxies formed, suggesting that DMBs were initially arranged into clusters which formed the galaxies. Imagined inflation and DMBs are such dramatic attempts to explain observations which otherwise bluntly falsify the standard model, that one can see that the big bang theory is as pliable as any science fiction holodeck could be. * Alleged dark radiation added to the BB's hypothetical rescue devices. The hypothetical conjectures of dark matter, dark energy, inflation, the multiverse, and more recently, dark radiation, exist to offset the direct implications of extensive scientific observation. Yet as with the big bang itself, these violate the most fundamental laws of science, including the conservation of energy. * Nine billion years of missing chemical change in supernovas: Sounding like a surprised paleontologist looking at a living fossil, Space.com reports, "The chemical composition in these 9-billion-year-old supernovas look remarkably similar to those that occur in the modern universe." If it were true, the big bang paradigm requires thirteen billion years of stellar nucleosynthesis to account for today's heavier elements. Yet this scientific discovery regarding these supernovae "standard candles" suggests that stellar nucleosynthesis was put on hold for most of the history of the universe, requiring then a non-standard explanation for these "standard candles". * Prof. Stephen Hawking caught cheating in class on origins. Stephen Hawking alleging that God did not create the universe but that gravity did provides another example of cheating. In his famous speech Origin of the Universe Hawking asked, "So, where did the energy come from, to create the matter? The answer is, that it was borrowed, from the gravitational energy of the universe." To this any observer should ask, "What universe?" In the atheist origins camp, as happens generally even at elite levels, Hawking is assuming the existence of that which he is claiming to explain. * Galaxy formation is an unsolved problem. In 1990 the journal Nature, "A comparison of the merits of five general theories for the origin of galaxies... produces no clear winner... we would not give very high odds that any of these theories is a useful approximation of how galaxies were actually formed." About that time and then republished in 2005, Stephen Hawking ended his list of unsolved cosmology problems with this: "galaxies... are thought to have developed from small differences in the density of the early universe from one region to another. What was the origin of these density fluctuations?" NASA doesn't have the answer either, as reported by New Scientist: "We have no direct evidence of how galaxies were formed... whether they were formed from aggregations of smaller units or from subdivision of large ones." And in 2009, a search of a trillion stars revealed nine billion years of missing metal (that's a lot! ), which, as reported in the Astrophysical Journal, is a "challenge [to] the current paradigm of galaxy formation", which was already challenged enough. Then, telescopes incuding NASA's FERMI, exacerbated the "transparency problem", with so much missing "infrared light between galaxies", apparently, billions of years worth, that it "may call into question our understanding of how galaxies are born", something that was questionable enough already. Additional issues with naturalistic explanations, as described at rsr.org/galaxy-formation-problems, include equally wound near and far spirals, huge distant clusters, superclusters, evenness of temperature, fractal structure, distant mature galaxies, too perfect spirals, the Milky Way's bulge, the spin of galaxies, and spiral arms that are too rapidly rotating and not deformed. * Quasars challenge big bang redshift interpretation. Quasars, believed to be the extremely bright centers of very distant galaxies, typically have high redshifts (implying great distance). However, they statistically cluster with galaxies of low redshift (implying near distance). Further, many quasars appear to be "ejected in pairs in opposite precisely aligned directions perpendicular to the plane of [their] galaxy", and some even appear to be physically connected to these much lower redshifted galaxies. 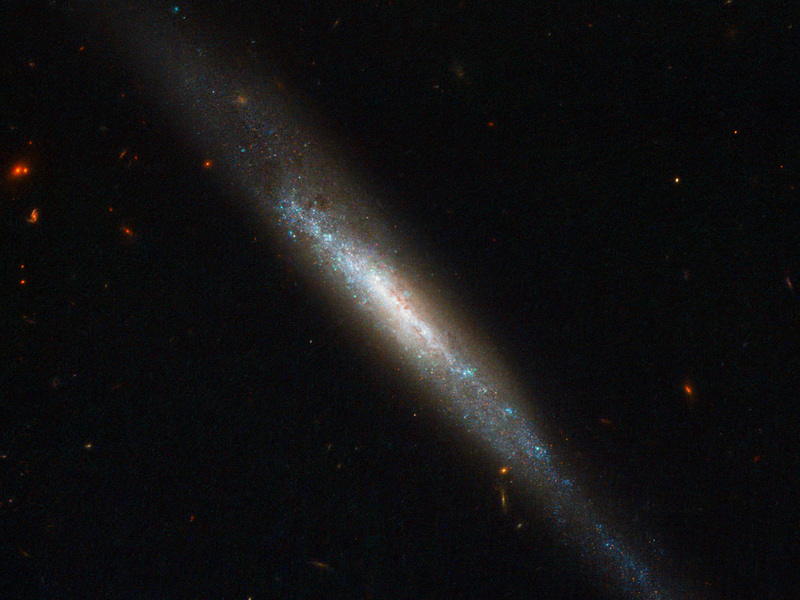 In an extraordinary example of redshift evidence that does not fit into the big bang paradigm, spiral galaxy NGC 7319 (see image) has a low redshift value of z = 0.022 interpreted as being 360 million light-years distant, yet it appears to sit behind a foreground quasar with a much larger redshift of z = 2.114, interpreted by the big bang model as being 35 billion light-years away. * Spiral arms rotate more rapidly than predicted and haven't deformed: Galactic arms should deform in less than a few million years. Yet even after alleged billions of years, grand design spiral galaxies still have well-defined arms. Further, big bang theorists expected decreased rotation speed with distance from the center, but this fundamental prediction has failed in that speeds tend to plateau and "are essentially constant beyond a certain distance from the center." Leading advocates admit that big bang nucleosynthesis (BBN) cannot even theoretically make enough baryonic matter (i.e., regular matter, made of protons and neutrons) to explain the rapid galactic rotation speeds, so they believe in the existence of ten times more matter than is visible, much of which is hypothetical non-baryonic dark matter, to overcome this failed prediction. * "Axis of Evil" Anisotropy falsifies the Copernican principle: The New Scientist article, Planck shows... axis of evil, reviews the "four-year mission conducted by the European Space Agency's Planck spacecraft, which has created the highest-resolution map yet of the entire cosmic microwave background (CMB) [which] does not solve lingering mysteries over unusual patterns in the CMB. These include a 'preferred' direction in the way the temperature of the light varies, dubbed [as even in the journal Science] the 'axis of evil'". Why evil? Because Planck seems to both falsify the big bang's central Copernican principle, and to suggest that the earth is in a special place in the universe. As space.com put it, "The Big Bang Theory says that the CMB would be mostly the same, no matter where you look [yet] the Southern Hemisphere appears slightly redder (warmer) than the Northern Hemisphere." Hear also our RSR program on the cosmic "axis of evil" and see our summary of the peer-reviewed literature at rsr.org/anisotropy. * Water unexpectedly exists on the moon. The water discovered on the moon runs contrary to the expectations of the theories of its formation. * Uniform temperature of the universe suggests that galaxies couldn't form. The extreme uniform temperature of the universe, of 2.73 degrees Kelvin in every direction, indicates a density of matter so uniform that if the big bang model were correct, that not a single galaxy would be able to form by gravity in just a mere 14 billion years. * Venus rotates backwards. If Earth and our neighboring planets originated by the big bang model for solar system formation, from a condensing, spinning spiral nebula, then all of our planets would be expected to have prograde rotation, that is, in the same direction of the spin of the alleged initial nebula. However even materialist astronomers admit that (from their perspective) Venus' retrograde rotation is inexplicable. * Highly elliptical exoplanet orbits challenge nebula hypothesis. NASA's exoplanet database manager Caltech astronomer Mike Brown said: “Before we ever discovered any [planets outside the solar system] we thought we understood the formation of planetary systems pretty deeply… It was a really beautiful theory. And, clearly, thoroughly wrong." Because our solar system has planets with nearly circular orbits (especially our Earth, thankfully), therefore, in an ad hoc manner, evolutionists developed the nebular hypothesis of solar system formation which predicts that typical planetary systems would be comprised of planets with nearly circular orbits, except now much contrary data is coming in, with many exoplanets in highly eccentric orbits. * Our Sun rotates seven degrees off the ecliptic. If the standard model's formation of a solar system from a spinning nebula were true, a mechanism would have to exist to either tilt the massive sun, or shift the orbits of the planets as a group, to obtain our current configuration. The more we learn, the more Isaac Newton's conclusion is affirmed, that the planets are in their current orbits only because the Creator of the system desired it so. * Forcing a neutron-star answer for the question of the origin of heavy elements: The National Academy of Sciences issued a report titled, Eleven Science Questions for the New Century which includes question #10, “How were the heavy elements from iron to uranium made?” Likewise, Stony Brook University astrophysicist James Lattimer plainly said that, "One of the universe’s overriding mysteries is where heavy elements originate" (Grant, p. 16). Well, remember that years ago the government unwisely pronounced that eating fat makes people fat? Since a dearth of neutrons means that supernovae are out, where else to look next but to neutron stars, which are cast superficially into a cosmic drama about heavy, neutron-rich, elements. This latest origins fad is supported with circular reasoning and by making models that produce results conforming to after-the-fact requirements (as with the ubiquitously acclaimed but failed solar system formation model). However, with the average neutron star having more mass than the sun yet compressed to a sphere with only a 6-mile radius, its enormous gravity will hold onto its own matter, leading model makers to attribute the heavy elements of the universe to neutron stars merging with one another or being shredded by black holes with the claim that much of their matter then escapes their enormous combined gravity. See references and more at rsr.org/phil-plait#neutron-stars. * The rotation of Uranus is perpendicular to the sun's. By the law of the conservation of angular momentum, the seventh planet from the sun, Uranus, should have an axis of rotation parallel to that of the Sun. However, some describe it as the "rolling planet" because it appears to roll around the sun rather than orbit typically, because it has a rotation axis that is nearly parallel to the ecliptic instead of that predicted for it by evolutionary assumption, an axis parallel to the sun's axis. * The Moon's outer core is molten. So much still-molten rock on such a small body in space is either evidence against it being billions of years old, or is evidence of very recent bombardment, both of which are widely rejected by evolutionists. - Asteroids: NASA surprised to catch an asteroid breaking up, while others outgas including the large Ceres at 13 pounds of water vapor per second and the small binary comet/asteroid Body 288P, and some even look like comets, with one having six tails, etc., see phys.org, NASA, EarthSky, etc., and a retrograde one that barely missed hitting Jupiter for... billions of years? See more at rsr.org/asteroids. - See our maintained list at rsr.org/transients and please feel free to send other examples to Bob@rsr.org. So Krauss and others claimed that the Anthropic Principle answers why the extraordinarily unlikely precise values of these ratios exist, including the one in 10,000 decillion odds against us having a virtually perfect one-to-one electron-to-proton ratio. They make the philosophical argument that it is not surprising that the universe has all the necessary fine tuning for life, for otherwise, we wouldn't be here to notice. In this way they deflect attention onto the observer and away from the very design of the universe that they are pretending to explain. Meanwhile, Stephen Hawking admits, while faithfully adhering to the anthropic doctrine, "The remarkable fact is that the values of these numbers seem to have been very finely adjusted to make possible the development of life. For example, if the electric charge of the electron had been only slightly different, stars either would have been unable to burn hydrogen and helium, or else they would not have exploded [as beautiful supernovas]" (Hawking, Brief History of Time, p. 129). And in Hawking's book, The Grand Design, he quotes a famed astronomer, "[Fred] Hoyle wrote, 'I do not believe that any scientist who examined the evidence would fail to draw the inference that the laws of nuclear physics have been deliberately designed with regard to the consequences they produce...'" with Hawking adding, "At the time no one knew enough nuclear physics to understand the magnitude of the serendipity that resulted in these exact physical laws" (p. 159). 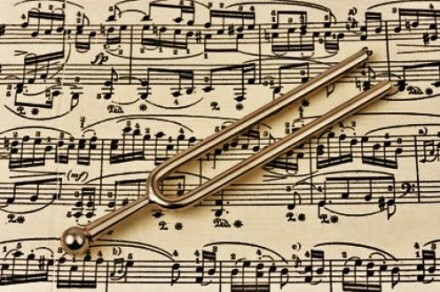 * Beware the Fine Tuning Claims of Hugh Ross: Confusion will result if we claim that particular fine-tuning must exist to allow for certain events, if in fact those events have never occurred or have not occurred as imagined. For example, Dr. Ross bizarrely claims a tuning of the "rate of nearby gamma ray bursts" to account for Earth's "mass extinctions of life to create new habitats for more advanced species." Likewise, If it turns out that no star, planet, or solar system, has ever formed naturally, then of course it would be invalid to assert the necessity of any fine tuning needed solely for star formation, etc. Consider the difference between studying the fine-tuning of the actual universe as compared to the fine-tuning of physics required for some science fiction story. Bob Enyart ended his debate with popular atheist AronRa by observing that a professional evolutionist is, "like a renowned Star Wars trivia buff, able to distinguish between a juvenile Wookiee and a mature Ewok, and explain from geology what froze the oceans on Hoth and how Tatooine was covered by desert." Anyone creating a list of the fine-tuning of physics required for sci-fi (Lawrence Krauss comes to mind :) is hopefully entertaining himself. When presenting fine-tuning arguments, a distinction should be made between the tuning that is necessary for all the life and the physical reality that actually exists, as compared to any supposed tuning needed to accommodate some incorrect theory of origins. See more at rsr.org/fine-tuning#beware-ross, including topics like fine-tuning for life on earth as compared to on an imaginary planet and for the actual history of life as compared to abiogenesis. * Krauss' Anthropic Circular Reasoning: Regarding the many fine-tuned parameters of the universe, like Krauss said to Enyart and atheists are content to trust, the Anthropic Principle explains all this, for otherwise, we wouldn't be here to notice. In response, Bob said to Lawrence, quoting Walter ReMine (1993, p. 61), that this is as satisfying as a doctor saying, "The reason that your father is deaf is because he can't hear." * Fine Tuned Quotes: British astrophysicist Paul Davies said, "There is for me powerful evidence that there is something going on behind it all....It seems as though somebody has fine-tuned nature’s numbers to make the Universe....The impression of design is overwhelming." NASA astronomer John O'Keefe said, "We are, by astronomical standards, a pampered, cosseted, cherished group of creatures.. .. If the Universe had not been made with the most exacting precision we could never have come into existence. It is my view that these circumstances indicate the universe was created for man to live in." Nobel prize winner physicist Arno Penzias said, "Astronomy leads us to a unique event, a universe which was created out of nothing, one with the very delicate balance needed to provide exactly the conditions required to permit life, and one which has an underlying (one might say 'supernatural') plan." See these and many similar quotes sourced. 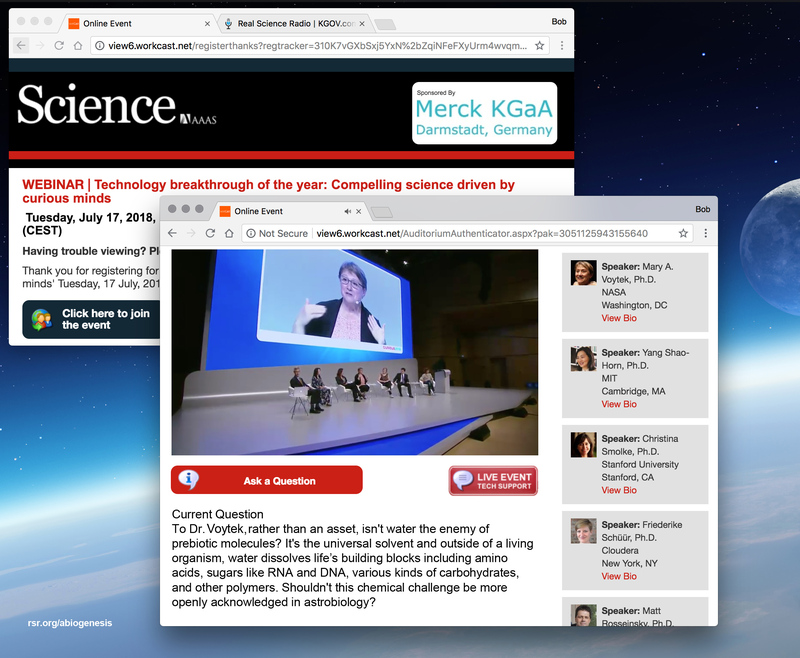 * Dear NASA, Thanks For Taking Our Call: In Darmstadt, Germany on July 17, 2018, our RSR challenge that water is not a catalyst but a barrier to a naturalistic origin of life was submitted to a senior NASA astrobiologist. 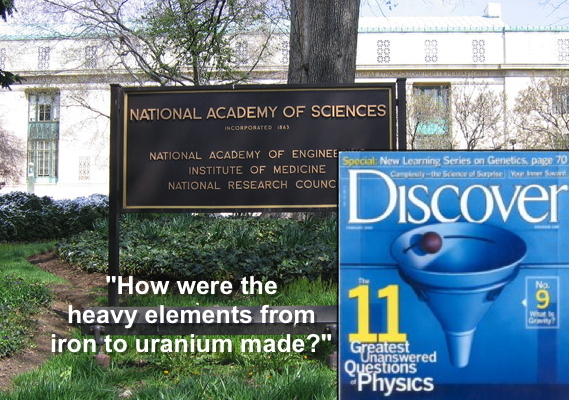 During a AAAS panel discussion the moderator asked RSR's question to Dr. Mary Voytek. You can hear this on our July 20th RSR program at rsr.org/abiogenesis. * The RSR Water & Abiogenesis Question: “To Dr. Voytek, rather than an asset, isn’t water the enemy of prebiotic molecules? It’s the universal solvent and outside of a living organism, water dissolves life’s building blocks life like amino acids, sugars like RNA and DNA, various kinds of carbohydrates, and other polymers. Shouldn’t this chemical challenge be more openly acknowledged in astrobiology?” This RSR challenge, one of many, was posed to NASA's senior astrobiologist Dr. Mary Voytek by the news editor of Science, Tim Appenzeller. (As for example with sexual reproduction, evolutionists often present their problems as though they were evidence for their theory.) This question about molecular disintegration challenges the widely-held major claim of the the big bang community that the natural occurrence of water would lead to the natural occurence of biological life. - and all kinds of carbohydrates. The journal that the above panel's moderator Tim Appenzeller works for, Science, reported that "water [is] lethal to the survival of DNA." The same goes for RNA and any fantastical RNA World, as even Stanley Miller, of 1952's Miller-Urey fame, wrote in PNAS, "Sugars are known to be unstable in strong acid or base [and further] ribose [of RNA fame] and other sugars have surprisingly short half-lives for decomposition at neutral pH, making it very unlikely that sugars were available as prebiotic reagents." Thus monosaccharides and disaccharides, for example, dissolve rapidly. Scientific examination has always readily seen this evident pattern. In 1955, the first known investigation into original biological material remaining in fossils, conducted by the Carnegie Institute, stated, "Ultimately in the presence of water these peptide bonds are broken", peptides being two or more amino acids linked in a chain. As foundational compounds of all living organisms, peptides are significant throughout every cell and are vital in most biological processes. Peptides comprise all proteins, most enzymes, various hormones (including unicellular ones), they transport nutrients and are cellular building blocks. And water dissolves them. Enzymes perform and vastly speed up the chemical reactions necessary for life yet water destroys both peptide and non-peptide Ribosome enzymes (which are not made from amino acids but from RNA). Thus NASA, the BBC, ESA, Nova, and science educators like Bill Nye and Neil deGrasse Tyson, ubiquitously use a bait-and-switch to manipulate their audiences. Whereas molecules like DNA and RNA easily dissolve in water (including by deamination and depurination), materialists exploit their audiences' gullibility and ignorance, along with water's known role in sustaining life, to pretend that it is an unquestioned asset for abiogenesis, to form life from the very chemical compounds that it would disassemble. And of course, because life is information-based, even more so than it is carbon-based, abiogenesis is impossible anyway. So, while it helps to maintain existing life, NASA, water is the enemy of "prebiotic" molecules. Today’s Resources: Have you browsed through our Science Department in the KGOV Store? Check out especially Walt Brown’s In the Beginning, and our own Evidence Against the Big Bang video. And separately, Bob strongly recommends that you subscribe to CMI’s tremendous Creation magazine!